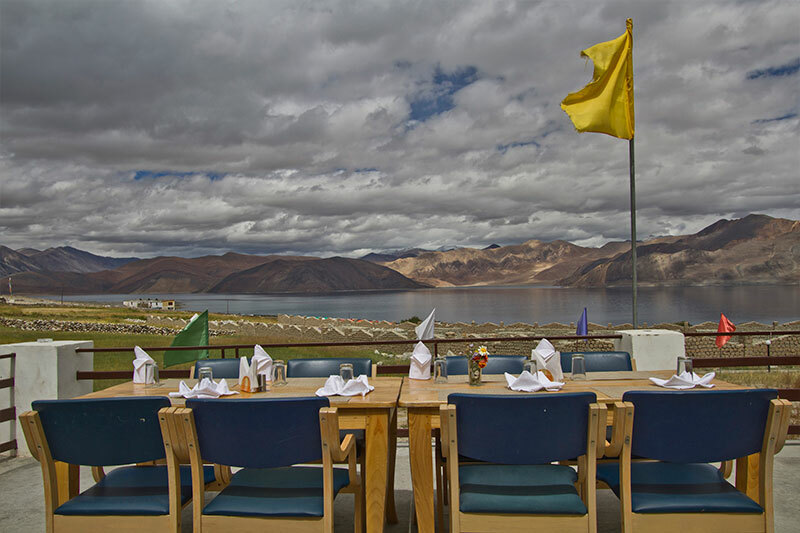 The Pangong Retreat Camp is in Spangmik village on the Bank of Pangong Lake, and is located at distance of about 150 kms away from the Leh city facing the Pangong lake with a direct view of the mountains. The remoteness of location is all the more evident when seen from my high vantage point. 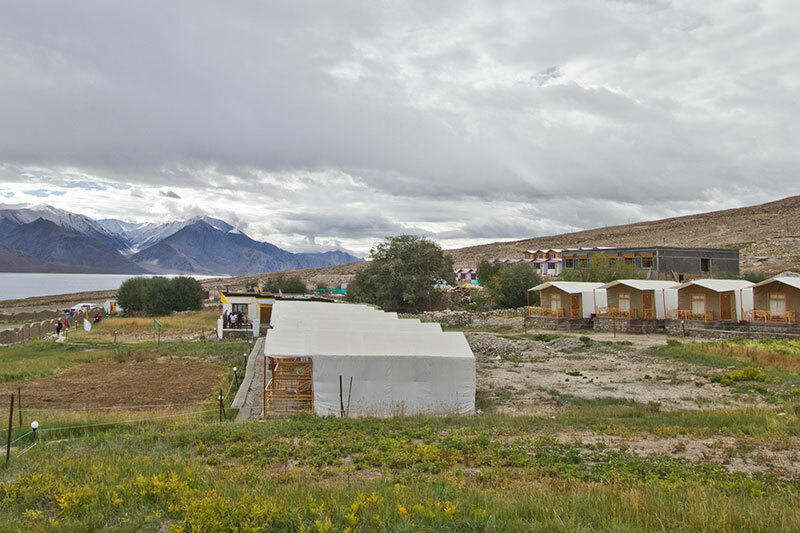 The few houses are scattered like dots in a landscape dominated by the long blue stretch of the lake and the barren mountain slopes. It looks like a place out of dreams that is too unreal and too beautiful to be true. 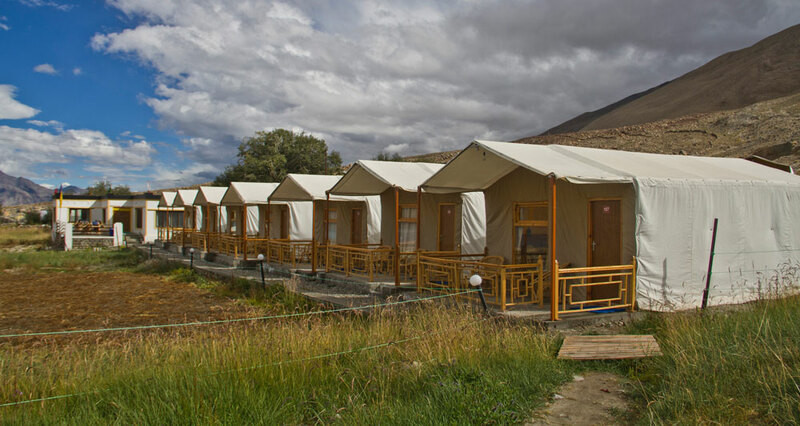 There are very few camps and people – leaving the unspoiled golden field, with its flora and fauna, all to yourself and allowing you to enjoy your privacy.